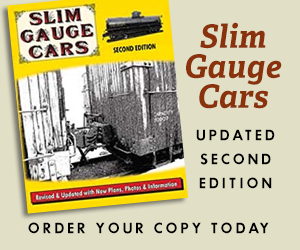 Joe Giannovario was the publisher and founder of O Scale Trains Magazine, the first issue of which appeared in March 2002. Professionally, Joe was a PhD chemical engineer, and retired from General Electric Space Systems where he was a manager for one of the GE groups involved in the space station program. 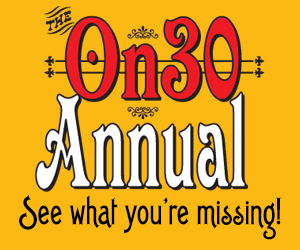 Like many engineers, technological advances were a passion and, embracing those advances in publishing, OST was one of the first model railroading publications where the principles worked all over the country, submitting their parts of the puzzle digitally; the process was completely computer and digital-based until the finished issue was stuffed in the envelope after the printing process. Writing this over a decade later, it sounds pretty mainstream perhaps, but all this was going on when most hobby magazines were still requiring wet-film photography, for example. 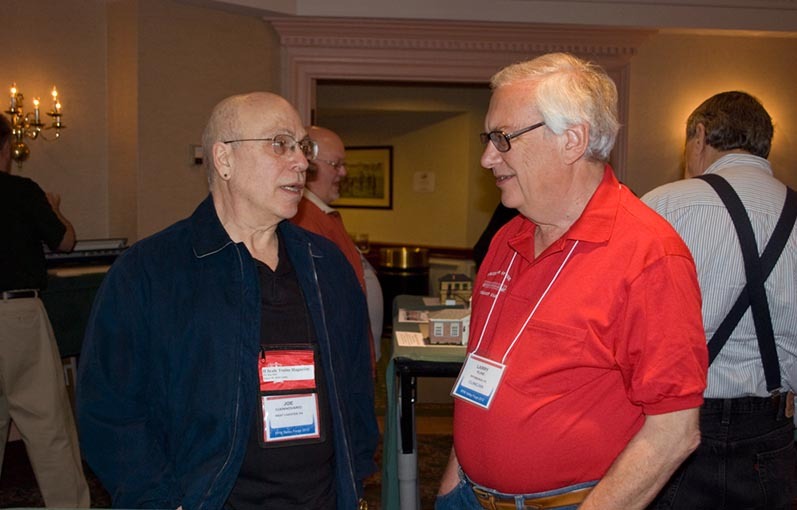 Joe Giannovario (left) and Larry Kline talk at a 2012 convention. I joined OST as a columnist, and before I knew it I was the editor in those formative years, so I enjoyed a front-row-seat in that process. Joe was a very engaging and enthusiastic boss, with opinions strongly held, but a reasoned argument was always welcomed. Those qualities gave him an infectious drive. If anything, he was a kindred spirit interested in ideas how something could be done rather than reasons why it couldn’t. Joe was an avid Norfolk & Western modeler. Outside the O scale community, he was very interested in automobiles in general and Corvettes in particular, website design, and other aspects of information technology. Joe passed away in June 2013.